The latest Membership Marketing Benchmarking Report from MGI, indicates that 35% of the associations they surveyed have a blog. Is your non-profit or membership organization among that 35%? If, like the participants of our Small Membership Insight Survey, your key priorities are: increasing membership; increasing member engagement; and demonstrating member value - perhaps you should create a blog or reinvigorate your existing blog. You may have lots of great content on your website, but it is static content that doesn’t enable two-way communication. A blog is an interactive tool. It offers a steady stream of fresh content through regularly schedule blog posts and also allows readers to ask questions, make comments and share information or links through the blog’s comments. A blog is the ideal communications channel to keep your members informed about your organization. By publishing fresh content through regularly scheduled blog posts, you can keep your members coming back to your website to find out what’s new; how they can get involved; and what your organization has done for them lately. In addition, as noted above, your supporters can also interact with the blog through comments, further promoting engagement. And by paying attention to and acting on comments, your organization can gauge member reaction to or interest in topics, events, etc. and act on this feedback to improve retention. Your blog is also an ideal place to showcase and recognize member and volunteer efforts. By publishing posts that focus on volunteer participation and even by having volunteers write posts, you demonstrate the benefits of volunteering to other members and potential recruits. Search engine optimization or SEO “is the process of affecting the visibility of a website or a web page in a search engine's "natural" or un-paid ("organic") search results.” Search engines, like Google, compile searches using algorithms to determine which websites are more relevant or trusted than other sites. As a result, they rank websites higher in the search results that have unique, fresh content. By publishing frequent blog posts, with high quality information and links to other trustworthy websites or additional pages in your website, you can improve your site’s SEO. In ranking higher in online searches, you should drive additional traffic to your website – improving member recruitment efforts. Your blog offers the opportunity to put a human and very personal face on your organization. 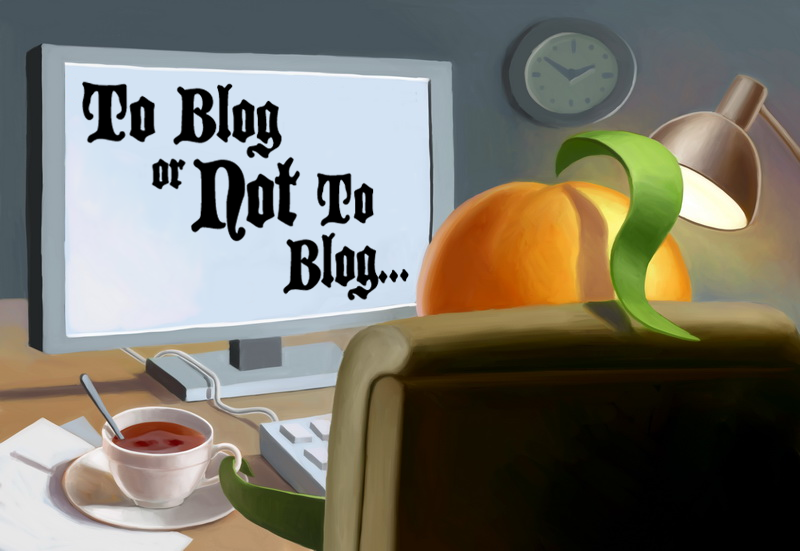 Blog posts should be informative, but can also offer the blogger’s or the organization’s point of view as well. Whether your key blog content is written by your Board chair, a communications committee chair, a staff person, or even a team of individuals, it can portray the real people behind the scenes of your organization. It also offers the means of conveying a more personalized message or telling your story in a personal way. This type of communications helps you build trust with your members or supporters and encourages readers to connect both with your blog writers and your organization. In this Movie Monday video, Marlene Oliveira explains “how a small nonprofit organization used blogging to successfully engage new people and build excitement prior to launching a new project.” As well as “how the organization overcame the struggle of finding content to share, and who made up their “Blog Squad”. Question, since WA is in the business of membership databases and such. Better to have a "public" blog that members and non-members can see and post to? Or does a members-only blog that is obviously "private" add value to the money somebody spends for membership? Brent: Good question. I think the answer depends on your org's objectives - e.g., growing membership; retention; raising awareness; advocacy, etc. For example, a blog that is available to the public can be used to promote the org to potential members and both grow the member base, tell your story and generally raise awareness of your organization. As you suggest, a members-only blog would build engagement among existing members and could be both a benefit and value-add for retention purposes. You could also consider using a forum or another online community for members and keep the blog open to all.